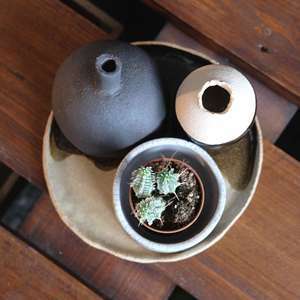 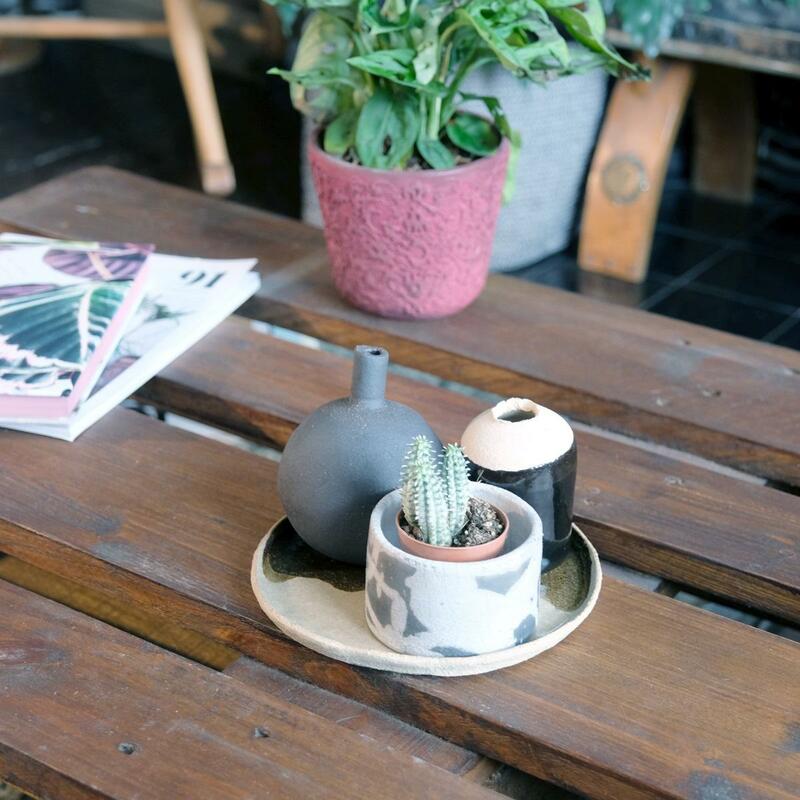 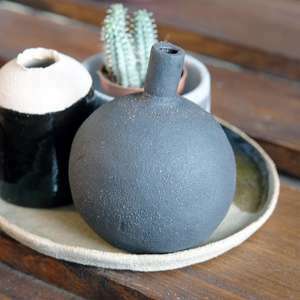 Transience Studio is a South East London based creative studio producing stunning handmade ceramics and textiles. The handmade display bottle really is a thing of beauty, gorgeously tactile, with each one showing the love and care that went into making it, complete with lumps, bumps and finger marks!?? Because they are handmade, no two are the same, so you really will own your own unique piece of art. Simply pop in a flower stem, or pair with our items from Transience Studio - the raku pot, the solitude vase or the display plate.